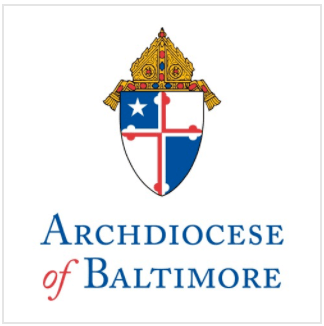 Father John Hurley, Executive Director of the Department of Evangelization for the Archdiocese of Baltimore, announced today the appointment of D. Scott Miller as the new Director of the Archdiocesan Division of Youth & Young Adult Ministry. Mr. Miller has served the past several months as the Interim Director of the Division and as Coordinator for Adolescent Faith Formation since 2005. As Director, Mr. Miller will assume the duties of management and direction of the Division and its many programs. In partnership with Father Hurley, Mr. Miller and the other directors in the Department of Evangelization will set the course for future directions of evangelization in the archdiocese. “As youth ministry keeps evolving in our Church, it is an honor to be able to continue to grow alongside the many gifted people who serve the young Church,” Mr. Miller said. With responsibility for adolescent catechesis and Confirmation, Mr. Miller has also undertaken a number of initiatives while with the Division, including revision of the High School Leadership Institute (Hi-Li), the Bishop’s Summits on Vocations and the Sacrament of Confirmation. He also co-wrote, Created to Love, a teen-targeted resource used in teaching the Church’s human sexuality curriculum and Building a Culture of Life with Middle and High School Students. Mr. Miller possesses a Master’s degree in Religious Education from Felician College in Lodi, NJ, and a Bachelor’s degree in Religious Studies from Mount Mercy College in Cedar Rapids, IA.>He has over 30 years of youth ministry experience at the parish and diocesan levels and has served on the staff of the National Federation for Catholic Youth Ministry. Scott brings a cutting edge vision to ministry that is extensive and relevant. I believe he has the energy, creativity, and credibility to lead us in evangelizing the young church of Baltimore in new and exciting ways,” said Ms. Georgina Vaca, Coordinator of the Archdiocese’s Office of Hispanic Young Adult and Youth Ministry. Mr. Miller’s first official day as Director will be September 1, 2010.